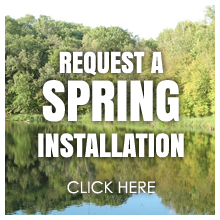 In the spring we will install your lake shore equipment, level everything and finish to your satisfaction. 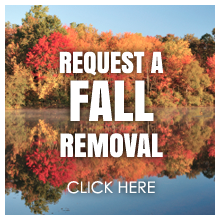 In the fall your equipment will be removed from the lake and placed neatly on your shore . Our one of a kind barge is a 24ft pontoon with a hydraulic lift mounted on top to ensure we handle your lakeshore equipment with the utmost care. We can install and remove your lakeshore equipment or move you equipment from one lake to another, there really is no job to big. If your having problems with any of your equipment or need some welding done, we can help, or point you in the right direction to get your problem fixed. Our expert have the experience and equipment to safely transport your new or existing dock to any destination. Preserve your current canopy or let our talented staff repair it to help increase usage for years to come.